But Isaac is not what he seems. He’s keeping a huge secret from Bella, yet he never expected to fall for this open, generous and charming woman. Bella can’t ignore the chemistry between her and Isaac, but she’s had her trust badly broken in her past. 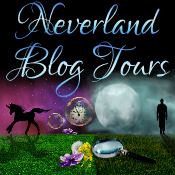 Will she run when she learns the truth about Isaac, or will he be the one man who can help Bella believe in love again? A gorgeously romantic and heartwarming story to completely lose yourself in. Perfect for fans of Sarah Morgan, Jane Costello and Miranda Dickinson. If I could get away with simply putting "Holly Martin is bloody marvellous" as a review, then I would - but I don't think that will cut it, haha! 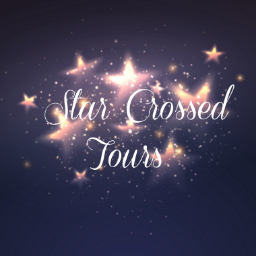 Holly has a wonderful knack of engaging the reader from the opening chapter, giving locations that are picture perfect and characters you instantly love. 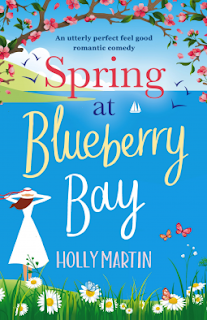 I'm positive that Holly's writing and story lines keep getting better and better too - grabbing yourself a copy of Spring at Blueberry Bay will certainly leave you wanting more and is one that definately doesn't disapoint! Spring at Blueberry Bay is the new book in Holly's latest series about three siblings, and this one is the turn of Bella who has always believed she is unloveable due to her childhood and has therefore built up walls of steel around her heart, so the last thing she expects is to have an instant attraction with Issac. Issac comes into the story immediately, only doesn't make his real identity known until Bella arrives at his company for a job interview. Landing the role as Events Manager at Issac's company, he and Bella try to keep a professional relationship but there are lots of heated moments as they start to fall for each other. Spring at Blueberry Bay has some hilarious, laugh out laugh moments - one of my favourites being the telephone conference - but there were lots of tender and more serious moments, with ups and downs giving a great page turning balance to the book. Ultimately it is a truly romantic story that you can't help but grin at as your reading! As I find with a lot of Holly's books, the supporting characters played key roles, the bond between Bella and her siblings Eden and Rome was just lovely - I'm very much looking forward to their stories in the coming months. Spring at Blueberry Bay is gloriously romantic - escapism at its best!